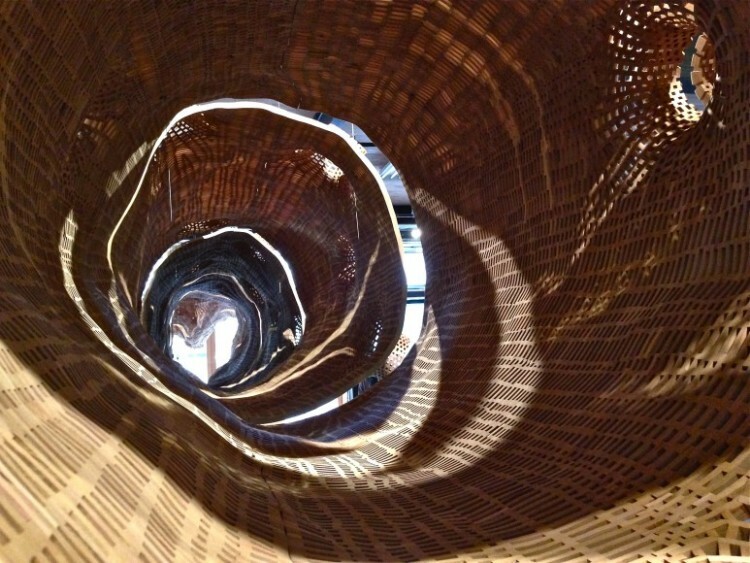 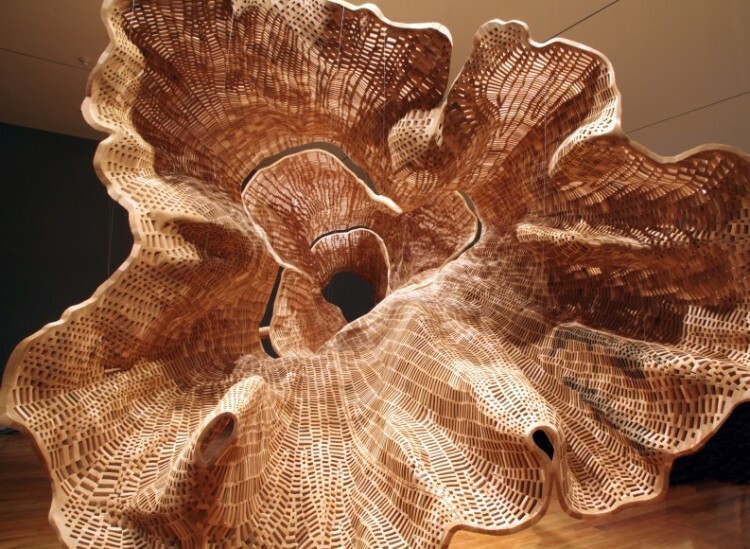 Seattle-based artist John Grade and a team of assistants and volunteers have built a breathtaking replica of an old growth pine tree out of a delicate lattice of hundreds of thousands of small wooden blocks. 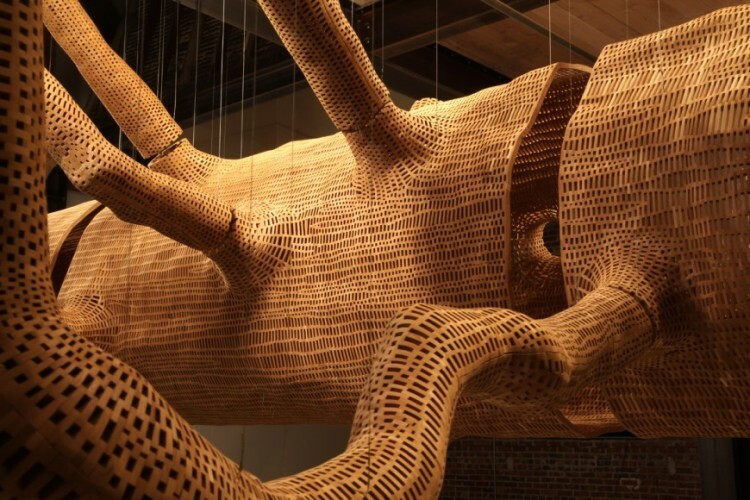 The sculpture project, entitled Middle Fork, began in April 2014, when Grade and his team traveled to a forest near the middle fork of the Snoqualmie river in Washington State and methodically made plaster casts of a live 140-year-old western hemlock–a process that involved climbing gear, buckets of plaster, and two weeks of time. 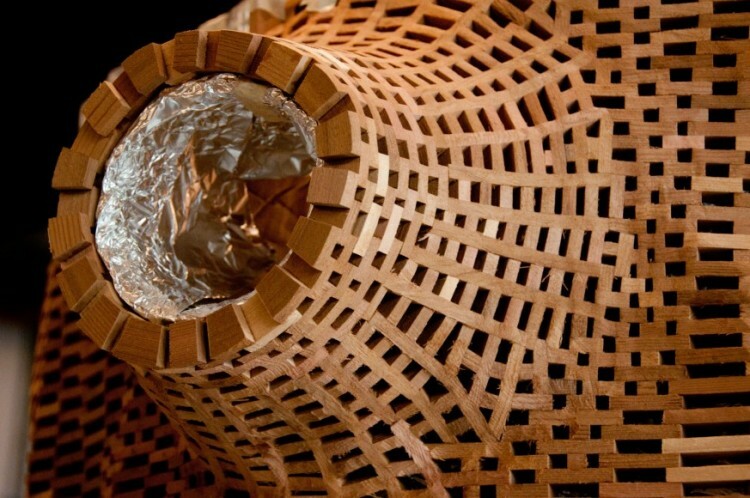 The casts were then transported to the MadArt studio space in Seattle, where volunteers painstakingly encased the casts in small cedar blocks, one block a time, to form the wooden lattice. 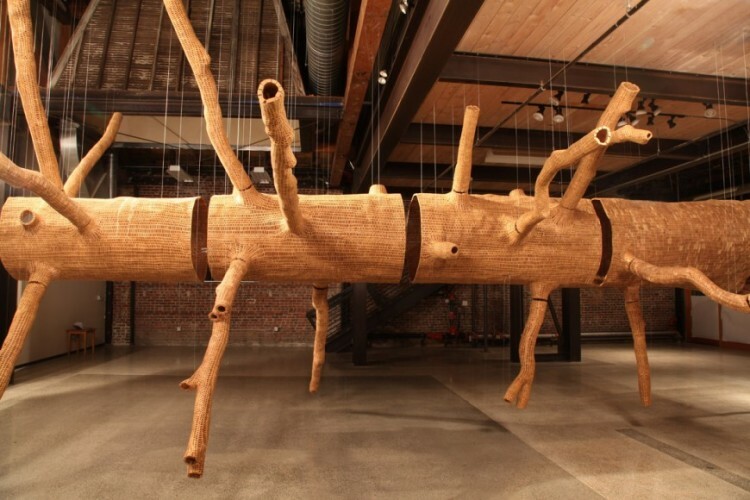 The sculpture is now on display–presented horizontally at eye level–at MadArt through April 25, 2015. 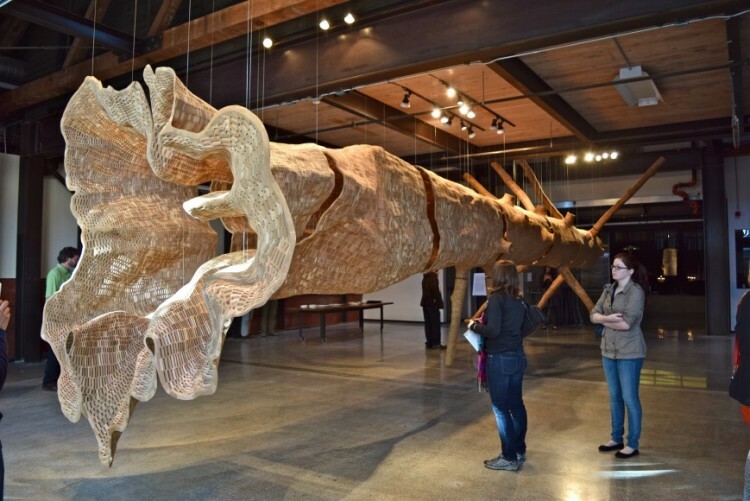 After that the sculpture will be taken on tour, as far afield as London and Washington D.C.. After the tour ends in two years time, the sculpture will be brought to the location of the western hemlock in the Washington forest, and will be left there to decompose.